The Christmas shopping season is here and ready to begin a long run soon after the last of the Thanksgiving Day pumpkin pie has been polished off around a Turkey Day football game. If you’re looking to give the perfect gift to a shooting enthusiast this holiday season, you probably know that ammunition, accessories, and other goodies are usually necessary for a fun day on the local shooting range. But added together, such options and accessories can quickly drive the final price tag up, making electronic cash registers sing a high note! Fortunately, thanks to the folks at Springfield Armory, those options just got a whole lot more cost effective thanks to the American gunmaker’s Gear Up! campaign going on between now and the end of the year. Specifically, the purchase of any new Springfield Armory XD, XD Mod.2, XD-S, XD-S Mod.2, XD(M) or XD-E pistol from Oct. 1 – Dec. 31, 2018, will qualify customers to receive three additional magazines and a Springfield Armory range bag. 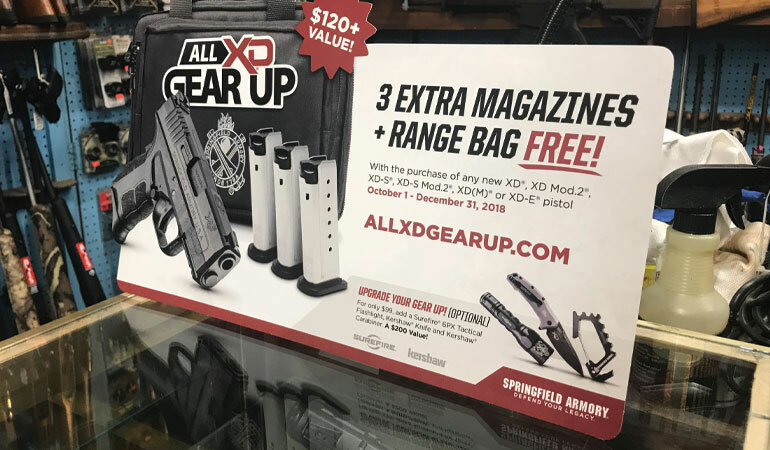 But the gift options get even more exciting this holiday season since buyers of those select Springfield Armory XD series handguns also will have an exclusive offer for the Gear Up package to get even better! For an additional $99, that will include a Surefire 6PX Flashlight, a Kershaw Knife, and Carabiner, worth upwards of $200. With Christmas Day quickly approaching, these options will provide great gifts for the shooting enthusiast on your list, one who is looking forward to seeing what jolly old St. Nick puts under the tree! 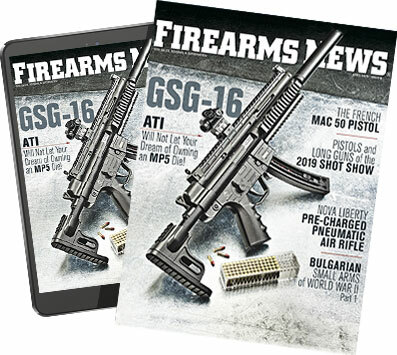 Tune in to Techsperts™ on the Sportsman Channel in November and December 2018 to watch Poole and Leatham shoot through Springfield Armory’s family of XD pistols at Gunsite." above the time listings.